Finding the Sacred in All Things…. Pop music is so disposable, sometimes formulaic, trivial, sometimes clumsy and even humorous. We love it, we hate it, we judge it, we dance to it, we make fun of it. We value some of it and discard other bits. We play it at parties and weddings and night clubs and get drunk to it and do very human things in its presence. It’s not seen to be high art and its certainly not labeled as sacred. Or is it? It was in the lead up to making this recording that I started not only hearing pop music with new ears, but really listening, to the songs of my childhood and the songs of today. I started discovering something that I had been suspecting all along. Through my work as a musician, I’ve had the opportunity to explore the qualities of sound and of song and discover the immense sonic power that lies beyond the magical properties in music that most of us can relate to. I’ve studied it, sang it, chanted it and learned to recite Hebrew and Sanskrit prayers and sutras. These ancient verses have taught me many things about the beauty and poetry of words and sounds arranged in a special sequence to help us make sense of the world and put us in accord with what it means to be human, and to be connected to this universe and it’s highest power. These age old prayers have been considered ‘holy’ and ‘sacred’ and have been recited for many centuries, because of their special vibratory powers and because of their special historical origins. They’ve certainly stood the test of time to bring many people together in many cultures and religions in communal recitation and have in the last century began to permeate the psyche of Westerners seeking deeper attunement with themselves, nature and spirit in the search for meaning. It is with this attunement that pop music began to open itself up to me in a different way. At first I started to throw in a pop song or two in amongst the chants at Yoga classes that I would play at and then at my kirtan sessions as a bit of fun, busting into reverential versions of Kanye West for example. I found it amusing to mix up the sacred with what we may call the profane. In a world of duality, we are pretty used to defining what is right and wrong, good and evil, art and trash, black and white, sacred and profane, the beautiful and the ugly. We often reserve the words ‘unity’ and ‘oneness’ for special ‘spiritual’ scenarios like church or synagogue or temple or mosque, or even yoga classes, meditation gatherings or a political protest. But at the highest level, the field of unity from which we all come from, is actually available at every moment and in every thing. This is part of the mystery and paradox of being human. That we are all connected all the time, that all things are one and came from the same mysterious place, even though we constantly feel alone and experience being separate. The drive to make this record grew the deeper I opened myself to the hidden magic in the ordinary human expressions of modern day life and discovered something beautiful. That out of the mouth of all our pop singers, the good, the bad and the ugly, lay the collective experiences and the prayers of our present age. In these pop songs I began finding the clothes of revelation. By peeling them out of their presented contexts, I for the first time could hear their wisdom, their failures, their aches, their mistakes, their transcendence. I felt they started to speak to me in all their holiness, the holiness of being human and flawed and grappling with fear and desire and the yearning for love and to be loved, the experience of being alive and divine and afraid and mortal. It became a magnificent thing, to deem their earnest, clichéd and sometimes frivolous or gimmicky poetry as something sacred. By definition, sacred is that which we consecrate to God. Surely our experiences, as an honest offering, are the holiest of all. When in our daily life we open our eyes to hidden insights of truth, beauty, virtue and grace, it appears. Even in pop music. Having recited ancient mantra’s, sung prayers and attuned myself to the vibratory power of sacred words of the worlds traditions I discovered that the mantra of our time is hummed, sung, absorbed and recited in cars, in clubs, on TV, in the shower and in every aspect of life. The modern mantra of the masses is here present in popular music of every era. The anthems of youth and the calls to action. I invite you to receive POP SUTRAS with all an open heart to discover the hidden sacred in POP. 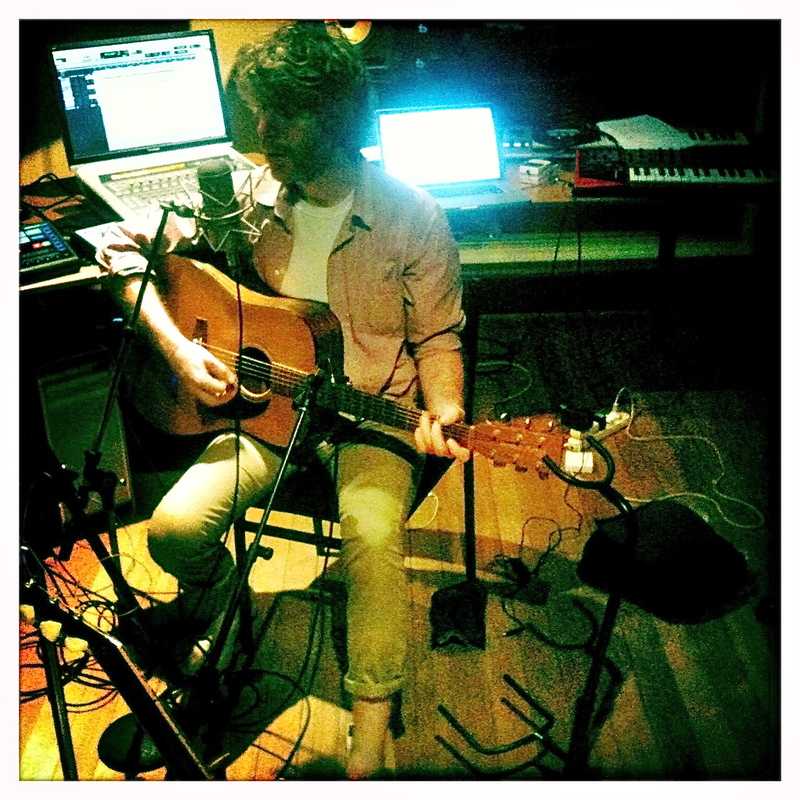 Sign up for Nadav’s Mailing List and receive Get Lucky, the first single from Nadav’s new album. By signing you agree to receiving correspondence from Nadav and Soul Traveller Music.